We recorded this tarantella 5 April, 2018 - during our residency in Venice, Italy. We are busking next to the Grand Canal - and the Fish Market (*established 1097 AD). You can also purchase them directly from us by email. Use the contact tab on this website. 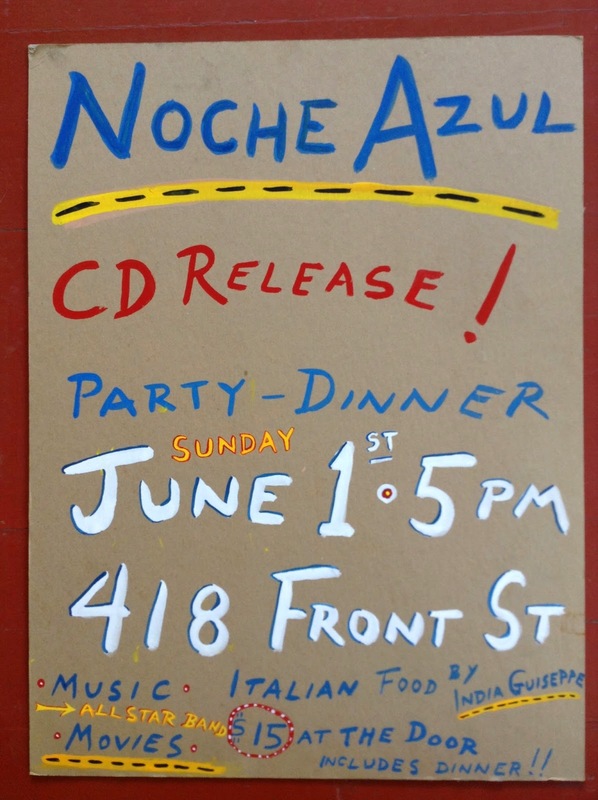 We are throwing a party to launch our new CD ------> Noche Azul. The celebration will feature the notorious India Joze "Guiseppe" Schultz making simple Italian fare, charming and suspenseful b/w movies from Italy and Old Mexico, with our musical selections played live as the sonic backdrop. Along with Emily and me we have our pals Irene Herrmann, Janet Dows, Dan Warrick, Karen Leigh, Delilah Lewis (of the Creole Belles) - making the night's music a fine and rare big band evening. 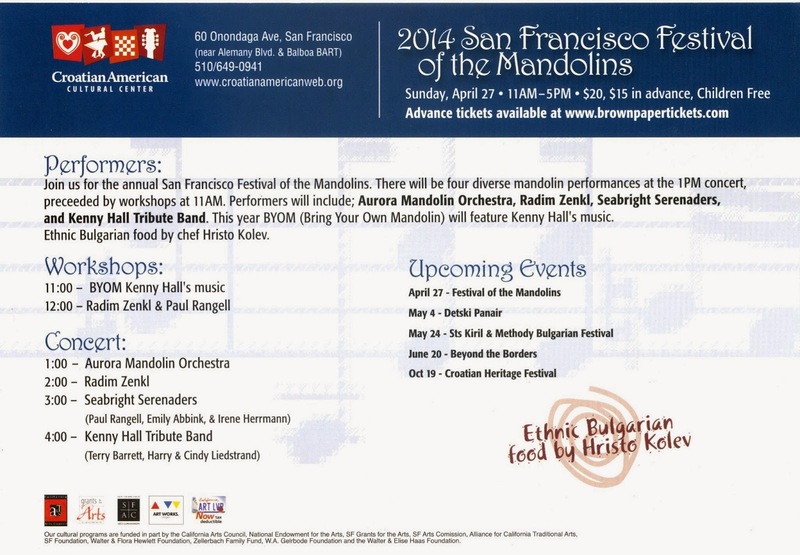 We'll playing many tunes from our new recording - tangos, valses, tarantellas, boleros, shotis, and mazurkas. Dancing is a good bet too. Count on two plus hours of music, a delicious dinner, plenty of laughs, and some splendid company at this informal gathering. We'll have beer and wine available for purchase -------> Dinner is included in the $15 admission. 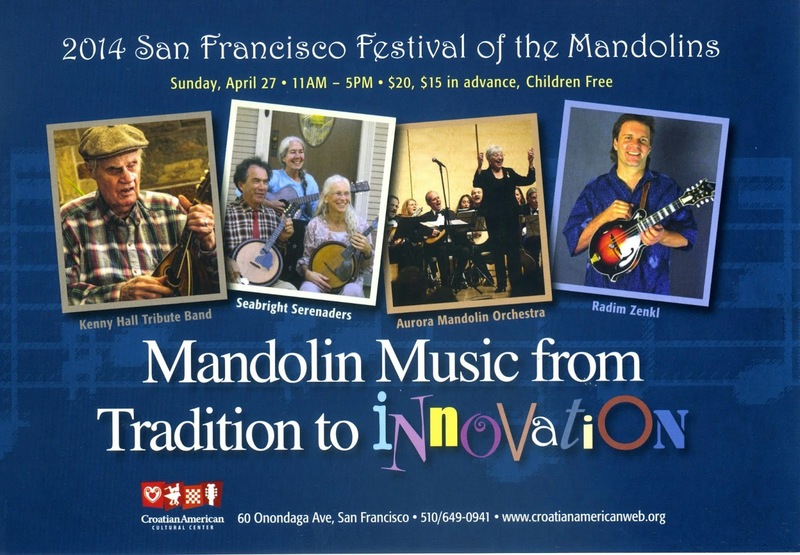 Come on down, bring the family, tell your friends and relax on SUNDAY, June 1 in downtown Santa Cruz. Parking is free in downtown lots on Sundays. Please help us spread the word. On December 26, 2013 we played at the legendary Caffe Trieste in San Francisco. We played with Sherri Mignano, a great accordionist and authority on Italian and French cafe music. Her band included Ned Boynton, an accomplished guitarist. This was an especially welcome session, as we were able to gaze at historic photos of all the great North Beach musicians who have graced Caffe Trieste over the decades. 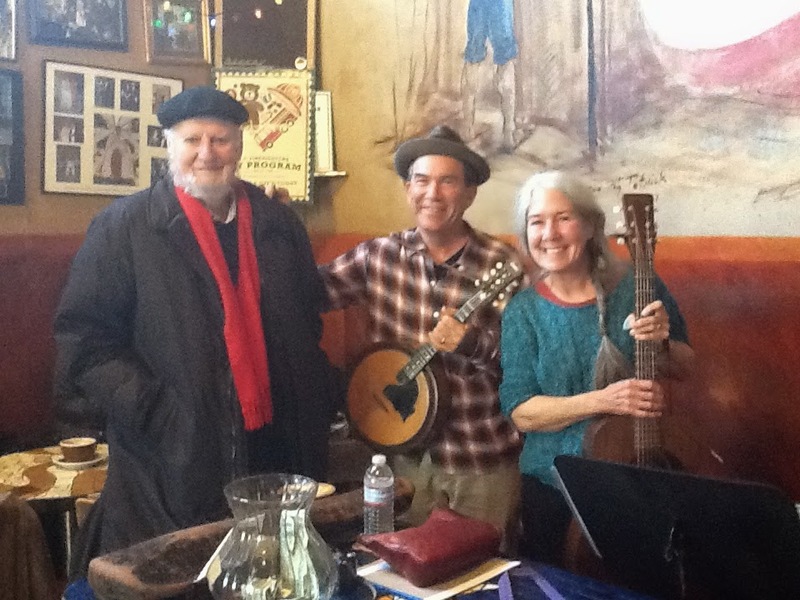 Here we are with Lawrence Ferlinghetti who likes our music and owns our CD. Here is a short video taken of us playing at Caffe Trieste that day. We hope to sit in with the band again one day in the holiest of North Beach hang outs.